I attended my first HoHoTo in 2010. A holiday party with a call to arms on Twitter: Toronto’s digital mavens can do more for our community. 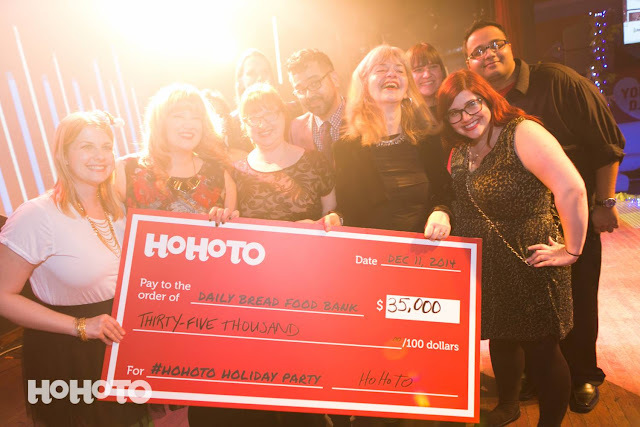 From that first event and every year that’s followed, HoHoTo has fed countless Torontonians with over $350,000 raised for the Daily Bread Food Bank. This year’s participating organizations include YWCA Toronto’s Girls’ Centre and Ladies Learning Code. Join in the fun on Friday, December 11 and let's jam the rafters at the Mod Club with 500 amazing people from the Toronto digital leadership, marketing, design, and tech community. See the Facebook invite and find out who's going to be there!